There are many challenges faced by those in the PR profession, writing engaging copy, arranging successful events but for many the most daunting part of PR can be pitching a story to the media – and with it comes that ever present fear of rejection. Considering you only get one chance to pitch a particular story it is so vital to understand who you are pitching to and the best way to go about it, this was the biggest shock I faced coming from a print background and being dropped head first into the world of broadcast. The press release is far from dead! As the primary point of contact between a business and the media it is essential that you get your message right – and into the hands of the right person. 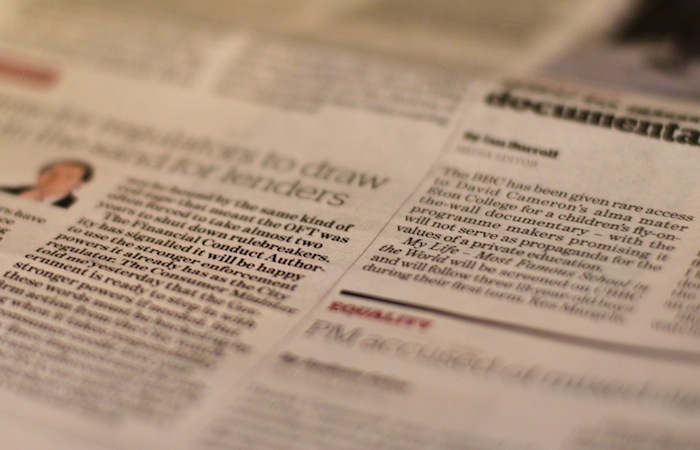 The traditional print press release is designed with the aim to offer a publishable article for a journalist on a tight deadline to almost copy and paste into their publication. This needs to include all of the relevant information and as many brand messages as possible such as websites, quotes and fine details. The technique for writing a print press release is often referred to as an inverted triangle – you start the release with the most important information and the largest volume of copy, less important information goes towards the bottom with the least detail. This is because traditionally if a press release is too long to print copy will be deleted starting from the bottom up. When writing a radio cue you must reverse this process, again of course, the most important information goes at the top but this time bulleted – this offers the presenter a script so they can read out the key points clearly and quickly. You also do not need to include details such as websites and quotations in the body of copy as this is down to the spokesperson to communicate during the interview, rather than offering a full publishable article you are offering a script, the beginning of a talking point for the presenter to establish and interesting and diverse interview. The first difference I noted with broadcast PR is the huge difference in pitch tactics, with print journalists you are used to working around deadlines but as long as it is not a deadline day you can be pretty sure that you can get through to the right person if you have done your research. With broadcast you have to take into account on-air times, this makes the whole process of timing your pitches ten times more hard, there is no point in calling a newsroom at ten minutes to the hour as everyone is busy preparing the news bulletins, you must call breakfast producers after they come off air at 10am, mid-morning after midday and drive before they go on air – it is a fine balance of time management. Also with broadcast time is of the essence, with a rolling news room and so many breaking news stories radio and television producers have to move very quickly, they are always under pressure and you have 10 seconds to effectively get their attention; why is it relevant; is there a case study; how is this local to them; is this news or a feature; is this for breakfast, mid-morning or afternoon? You have a bit more time with print, I once worked on a story with a journalist for three months, going back and forth to ensure we had the perfect story together. This can sometimes be one of the hardest compromises we have to make – how to get the brand message across effectively, naturally and in conjunction with Ofcom regulations whilst still keeping the client happy? During a broadcast interview it is important that the brand message comes across naturally and is not over used, if a spokesperson is repeatedly mentioning a brand the interview instantly sounds false and like an advert, how many times have you been listening to the radio and though “wow I really don’t believe this person, I feel like I’m being sold to” you instantly turn over. When the message is subtle and the spokesperson has a natural relaxed interview it makes for a much more interesting listen. One of the most important things for any PR is the relationship they have with journalists, living in London working in print PR this can be a reasonably easy relationship to manage, you can take journalists for lunch, coffee or a nice glass of vino (or four), but when you are pitching to regional stations based all over the UK you don’t have that luxury. It is therefore vital that you tailor what you are sending to producers, you will lose a relationship very quickly if you are constantly sending over cues that aren’t relevant – Today Programme isn’t going to take you seriously if you send them a planning notice on the latest range of cheeses, unless you’ve got a very clever tailored take on it… Get to know your media, what topics they are excited about, does the presenter have a particular interest in cooking or pets? How can you ensure that you are providing them with the content that you need? In essence PR is PR but understanding the mystical world of broadcast and how it differs to print is the starting point to securing that coveted slot on the sofa.